Explanation: Why does this giant disk have gaps? The exciting and probable answer is: planets. 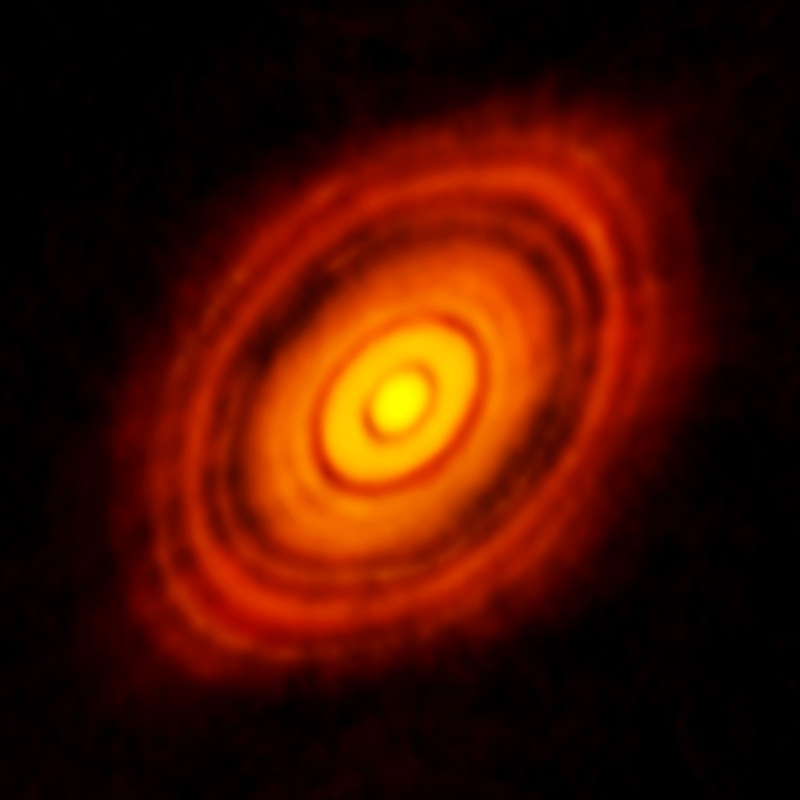 A mystery is how planets massive enough to create these gaps formed so quickly, since the HL Tauri star system is only about one million years old. The picture on which the gaps were discovered was taken with the new Atacama Large Millimetre Array (ALMA) of telescopes in Chile. 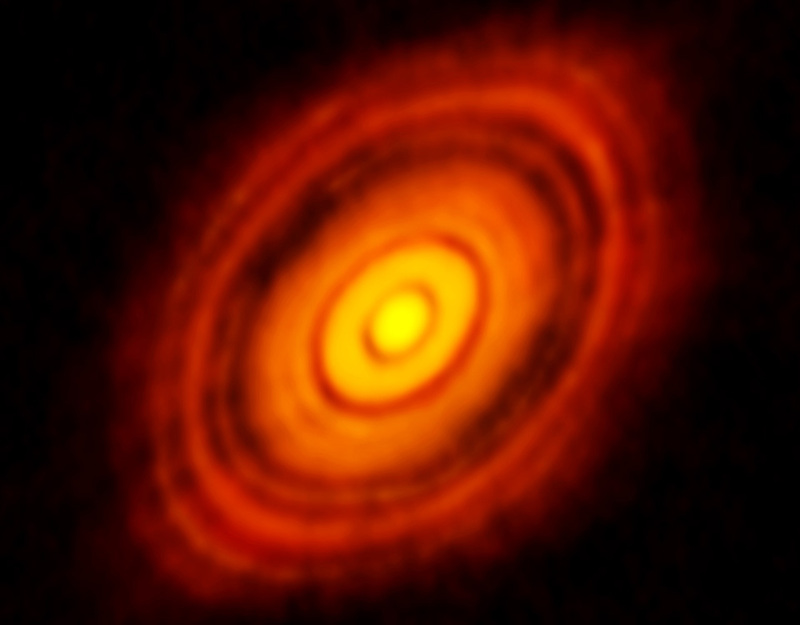 ALMA imaged the protoplanetary disk, which spans about 1,500 light-minutes across, in unprecedented detail, resolving features as small as 40 light minutes. The low energy light used by ALMA was also able to peer through an intervening haze of gas and dust. The HL Tauri system lies about 450 light years from Earth. Studying HL Tauri will likely give insight into how our own Solar System formed and evolved.